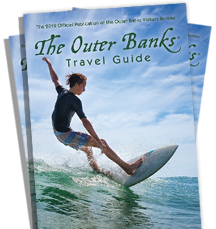 The Outer Banks has a lot to offer, but dining out is always an exciting and yummy part of the Outer Banks experience. From fresh local seafood to steaks, burgers and pasta, there is something for every member of your family. The Outer Banks prides itself with having amazing restaurants that offer fresh and local cuisines, but that’s not all; the views and sunsets are one of a kind. It’s the whole package!